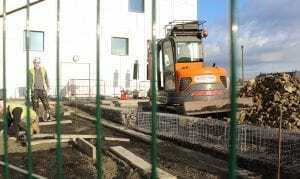 Work to create a new outdoor amenity space for staff and students at UTC Warrington is well underway. 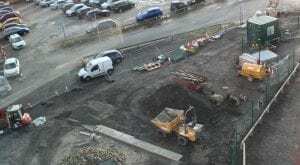 The current temporary surface car park will encompass the new landscaped area, including provision for the storage of 50 bicycles, artificial grass for sports and a pop up catering facility. Ellis Williams Architects who designed the UTC building have been working with Year 10 and Year 11 Architecture students on how the new area will be landscaped. The work coincides with the news that the new Warrington Youth Zone will be built next door to UTC Warrington. The new Youth Zone will offer affordable activities in sports, arts, music, employability and mentoring to young people aged from eight to 19, or up to 25 for those with a disability, every day of the week. 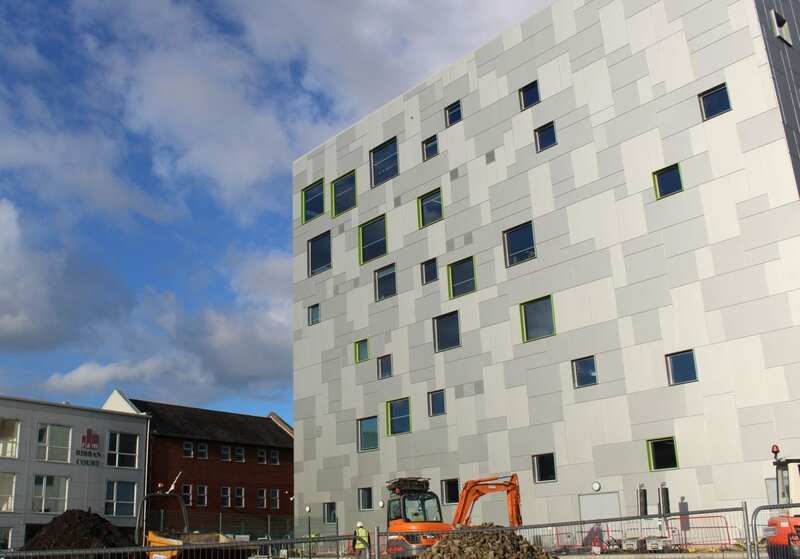 The council have confirmed the site for the new state-of-the-art facility in the Stadium Quarter next to the UTC, which when completed will see Warrington Youth Club move to its new Youth Zone home. The proposed location is extremely central and accessible by public transport, enabling it to be reached by large numbers of young people from across the borough. Previous PostNew Courses for 2018!